I love old shutters but sometimes they come in less-than-perfect shape. I bought four at Three Speckled Hens in Paso Robles. None of the shutters functioned so they sat in the garage for a year before I finally decided it was time to put them to use. I’ve been decorating my she-shed so I have a lot of space to fill. Turning the shutter sideways while the paint dried gave me the idea to turn an old shutter into a shelf! If your shutters are broken, you can use the Gorilla wood glue to glue them in place so they don’t fall out when you hang the shelf. If they aren’t broken, lucky you! I painted the shutter using chalk paint. I wanted some of the natural color of the shelf to show through, so I watered down the paint a bit. This part takes the most patience because painting every part of the shutter is a bit of work. You don’t have to paint the back if you don’t want, but I recommend painting all of the edges around the outside because you’ll see that portion when it’s hanging on the wall. I used a cheap chip brush to paint the shelf. I like to reuse things, so I actually rinse my chip brushes and use them as many times as possible. If you like chalk paint, I recommend stocking up. You’ll use them a lot in all different sizes! Anyway, here’s a before and after of the shutters. The screws that are sticking out of the top in the picture were there when I started. I removed those for the shelf. Now that you have the shutters painted, you’ll need to cut the piece of wood that you’re using for the shelf. I cut mine to the exact width of the shutter. Lowe’s or Home Depot can do it for you but I used old wood from my wood pile for this project. When you pick your shelf, make sure it’s deep enough to cover your shutter and the brackets. The wood in my pile wasn’t deep enough, so I pieced two together. I love rustic, but that may not be your thing. Here’s a picture of my two pieces from the side. Attach your shelf brackets to the thickest part of your shutter. After both brackets were attached to the shutter (aligned with the top of the shutter), I attached the shelf pieces using the same method. I pre-drilled the holes and then attached the shelves to the top part of the bracket. The last things you have to do is attach the hardware to the back. Again, pick the meatiest part of the wood so the screws will support the weight of the shelf. And, yes, you have to pre-drill one more time. I also added some rustic drawer pulls to the bottom of mine. If you want to learn how to paint mason jars, you can read my 3 Simple Mason Jar DIY Projects to learn how I paint them and other ways I love to use mason jars. Thanks again for joining me at Hootshack. I hope you enjoyed this easy shutter shelf. Be sure to link back to my post if you decide to share my content. Sharing is caring! This is amazing ! What a great DIY and such a simple concept . Im so sharing this with my sister ! It’s nice idea! This looks amazing. Keep up the good work. Thanks for sharing. I am not much of a DIY person so I appreciate people who have talent in transforming objects that I would usually throw in the bin, and give them a new life. The shutter shelf looks lovely. These are super cute, I love this idea of converting them to a table! Wow. Been wanting to do something like these too. Yours is so good, i’ll take note of this post for later. Thanks! 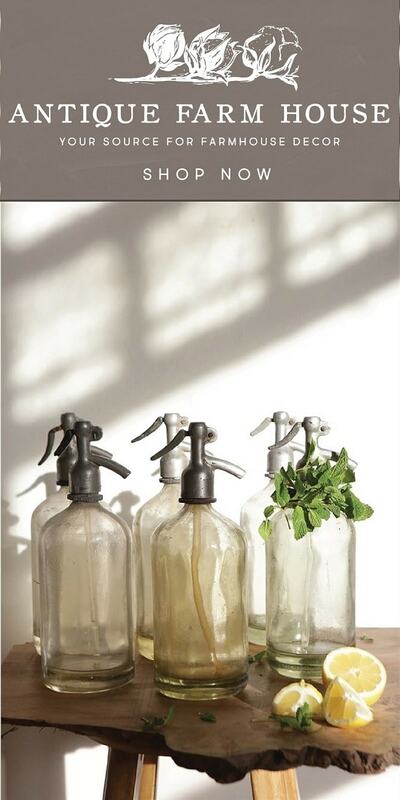 What a fantastic way to repurpose something! I do love when people can give things a new lease of life in a different way such as this. I love DIYs! Thanks for sharing this! This is actually really creative. 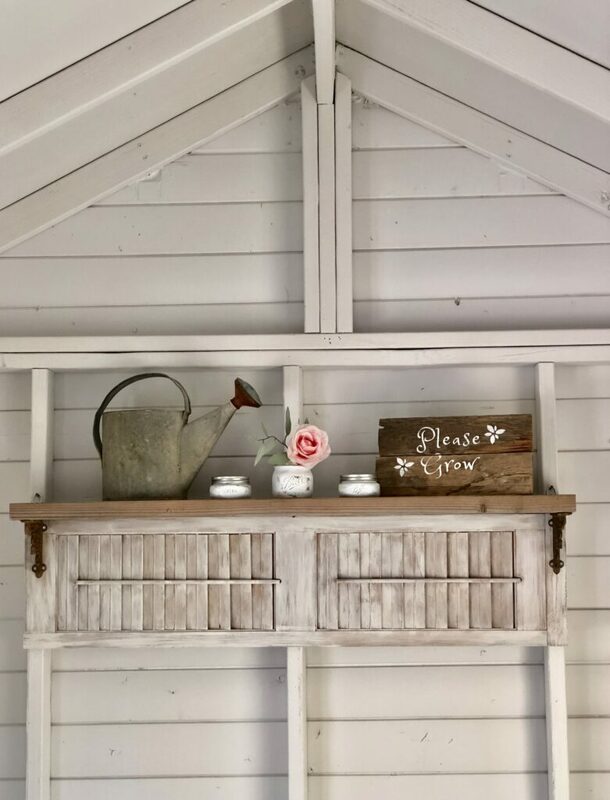 The shutters give it a classic rustic look! So easy to make. It has a rustic feeling to it. I can see something like this in a cottage. You’re so good at this. I love old things. Your way seems amazing! Keep up the good work. These are such great ideas, I would have never thought of them. I’m not much of a DIY’er but love these kinds of projects. 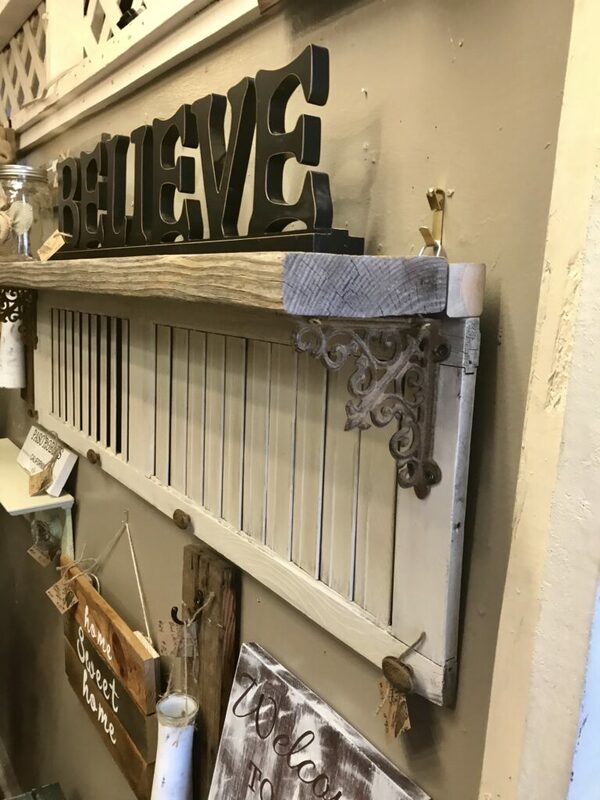 That is a great idea, reusing shutters, to make a beautiful shelf. This is a perfect DIY project. Oh wow. This is great. I want to decorate my daughter’s room but I’m so bad at diy ? Some projects are definitely easier than others but there’s such satisfaction in making something on your own. Thanks for visiting me! What a great idea, I never thought about that. Looks cute.